This holiday season I was blessed with many gifts, one was a pair of these amazing socks from Tabio USA. Another (unwelcome gift) was facing the worst cold season I’ve had in a long time with being sick on and off for over a month. Bronchitis is the pits and it totally prevented me from giving these Signature Run Toe socks a proper trial on the running trails or pavement, but I did get to test them out elsewhere. What better way to break them in than through touring the streets of Rome? My travels through Rome involved A LOT of walking and with clunky boots the added arch support was a godsend. I had also been suffering from hotspots on my heels from wearing improper socks a few days prior and these bad boys saved me from any further blistering. The large heel structure and snug fit prevented any potential rubbing and left my feet happy. The trip was a blast and I made my way home with happy feet and a full and happy heart. I’m very much looking forward to trying them on my next run and will need to report back once I do–it’s getting that much closer to race day and Seneca7 will be here before I know it. Here’s to health and happiness in the New Year! Cheers!! 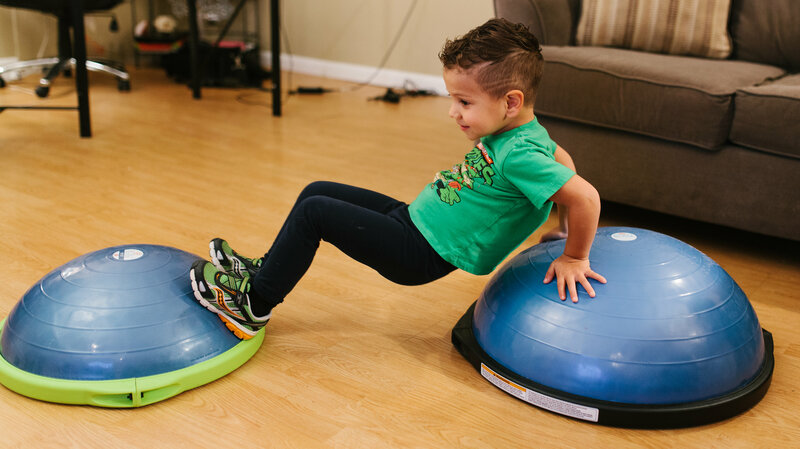 As a trainer, I know the importance of adding various stability work to build on our proprioceptive abilities. 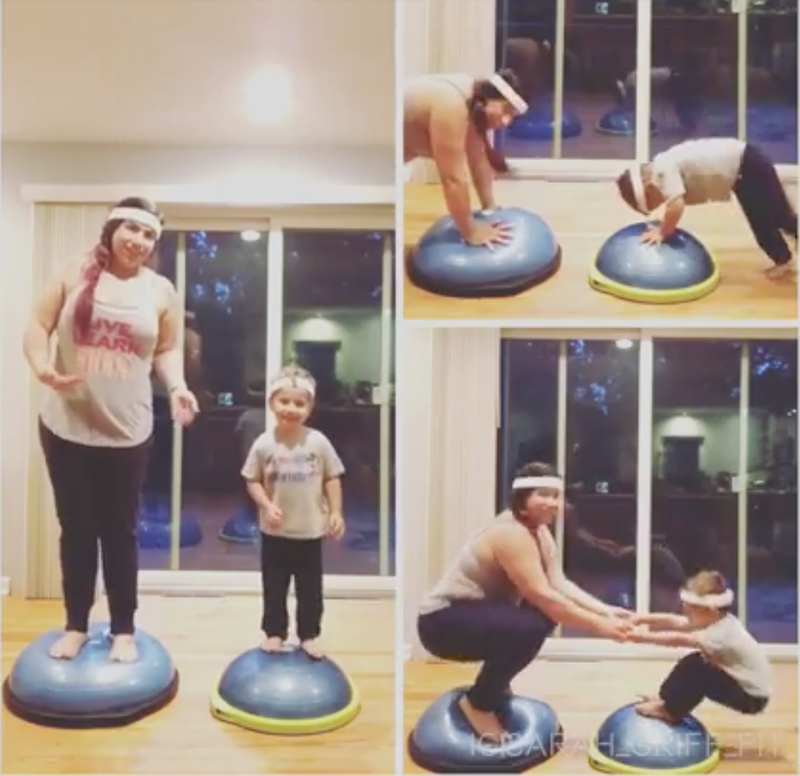 Challenging our natural movements with The Surge® is a great way to accomplish this, so you can imagine how thrilled I was to be awarded the opportunity to try it out for myself. 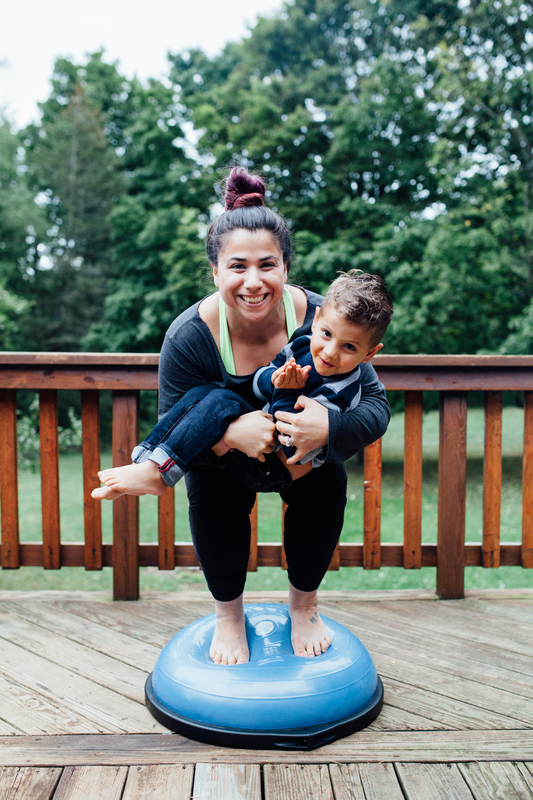 The Surge is a portable piece of training equipment that uses water to create dynamic resistance, which will effectively challenge every part of your body as it works to stabilize the moving water. 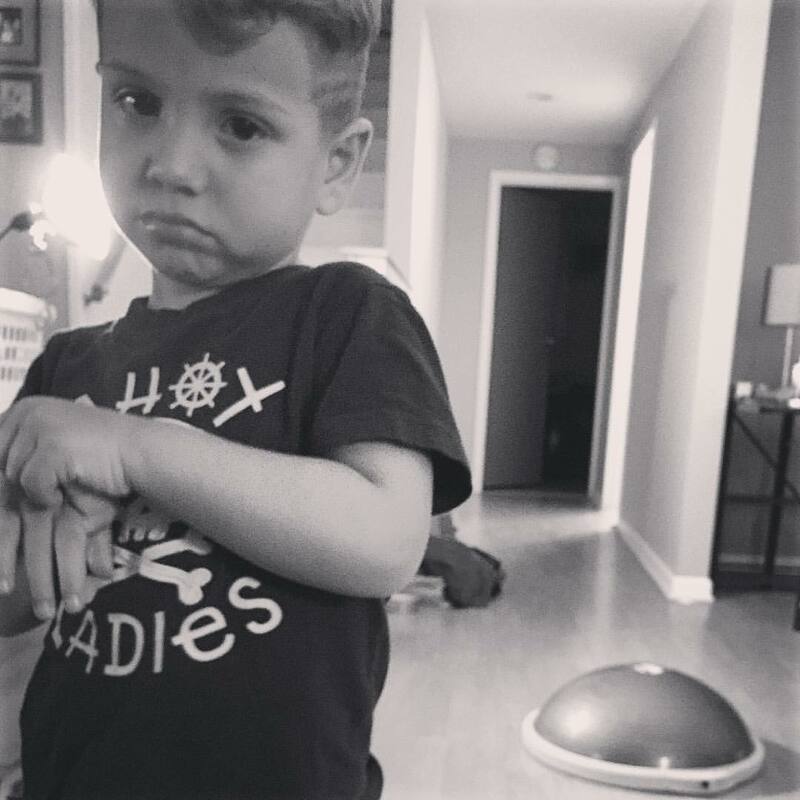 It can be used in a variety of manners and is extremely versatile. You can go light or add more water (see chart below) to take things up a notch. However, you should be aware that you’ll want to lighten your load due to the added challenge of the moving water. As mentioned, there are a variety of ways to use The Surge. The dual vertical and horizontal handles open up a whole slew of possibilities. 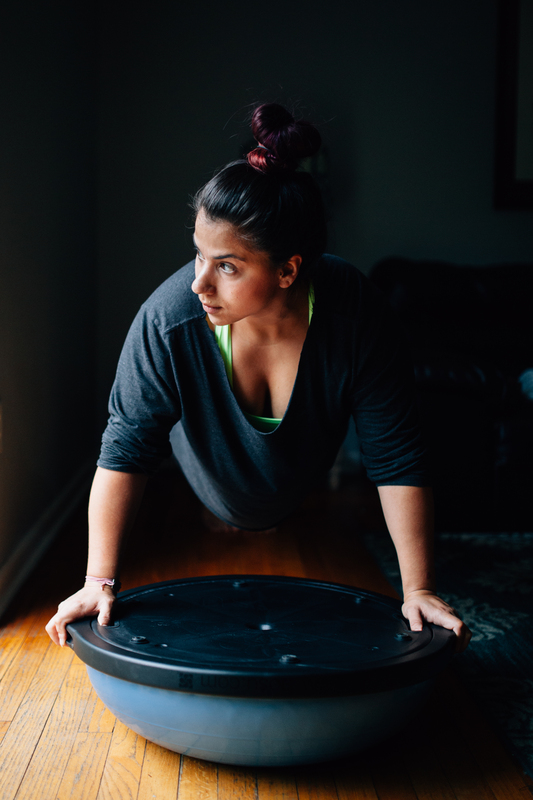 You can do anything from deadlifting to jump squats. In addition to these traits, The Surge also comes in two different sizes. 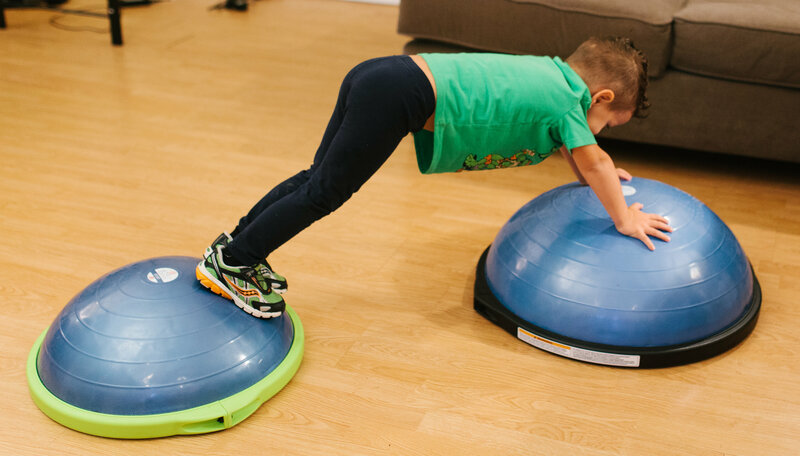 The more compact 3.0 is great for core and upper body work. This is definitely a great addition to my arsenal of training tools. I look forward to using this in my work with clients and within my own training plans. It’s going to get a lot of use. Have you heard of The Surge? 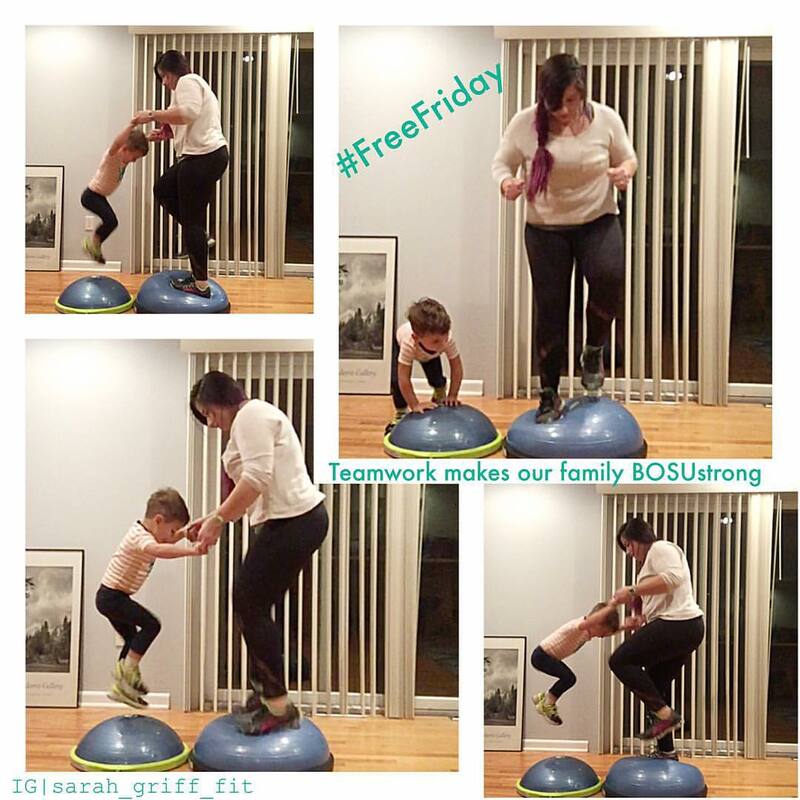 Do you see how it can benefit your training sessions? If you’d like to learn more go to www.hedstromfitness.com/sweatpink. If you’ve seen enough and want to buy your own Surge go to the link use code 💗SPHF25 to save 25% off your order. This month, as a Sweat Pink Ambassador with Fit Approach, I was awarded the opportunity to test out Mighty Nut Powdered Peanut Butter. These products were provided to me for free and though I will be compensated for my review the opinions and experiences expressed are my own. If you know me then you know I am a huge peanut butter fan! Add peanut butter to nearly anything and it makes it exponentialy better! 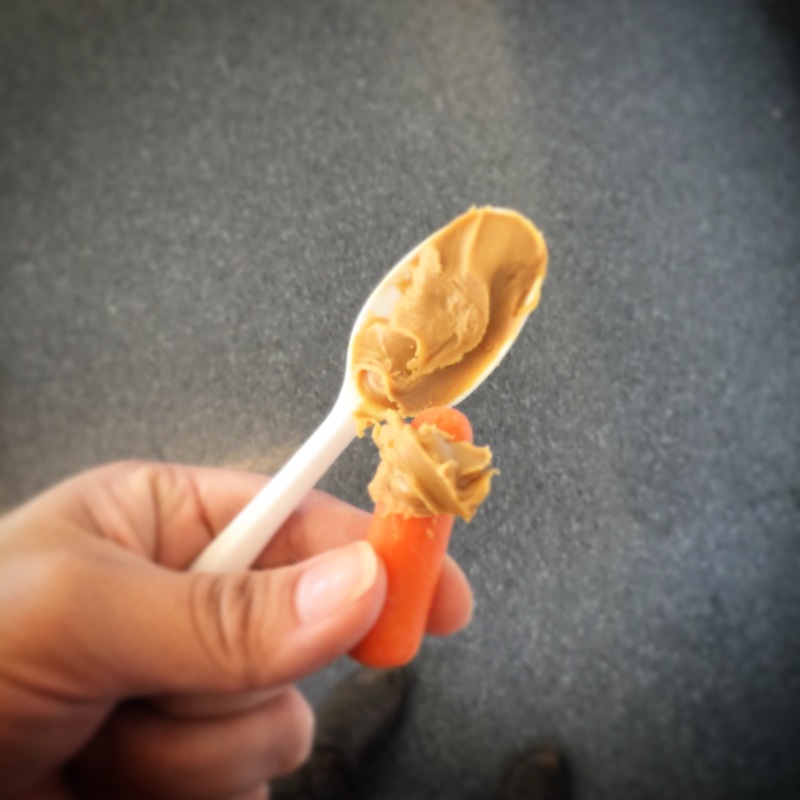 My personal favorite ways to use peanut butter are in my morning oats, as a flavor boost in smoothies/shakes, or with apples or carrots as a quick snack. The only downside to PB?? It’s a calorie and fat dense food and I can only enjoy it in limited quantities. That’s where the powdered stuff comes in! Packing 85% less calories from fat, powdered PB can be enjoyed without the guilt. 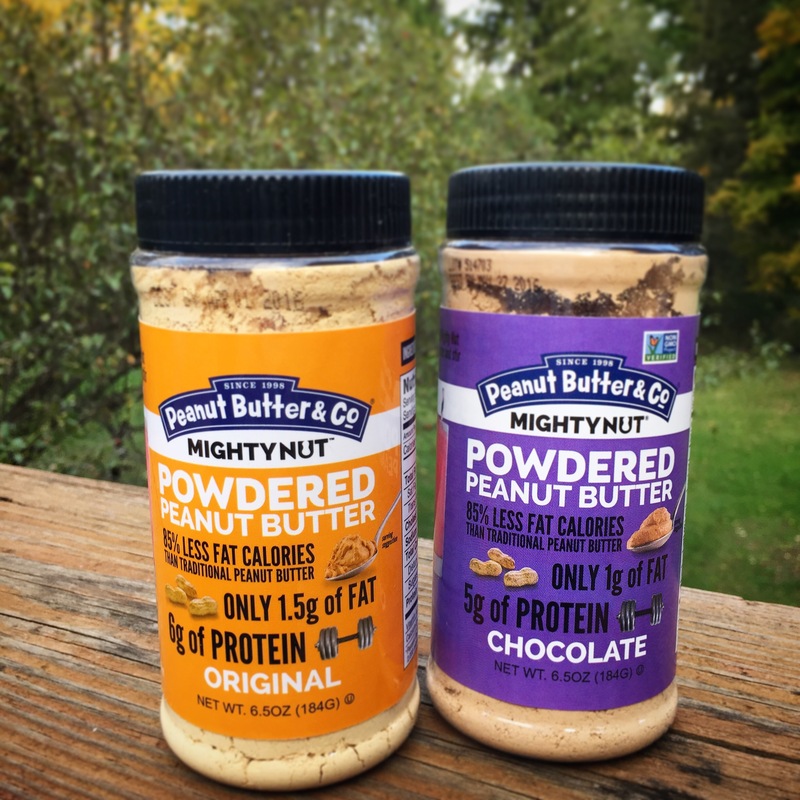 Here are two quick and easy ways to use Mighty Nut Powdered Peanut Butter! Add it to your favorite smoothie or shake recipe. Make a quick and healthy snack like apple ‘nachos’. 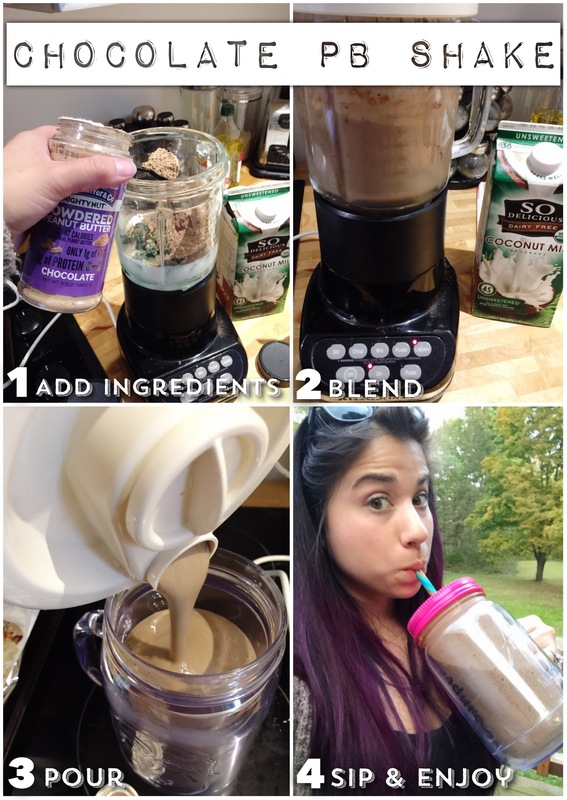 Mix ingredients in blender and blend until smooth. Thickness will vary depending on protein powder type and which liquid you use (I find my shakes with coconut milk are always thicker). Enjoy! This next recipe is another quickie! You can use a mandolin to slice your apple or do it the old fashioned way with a knife. 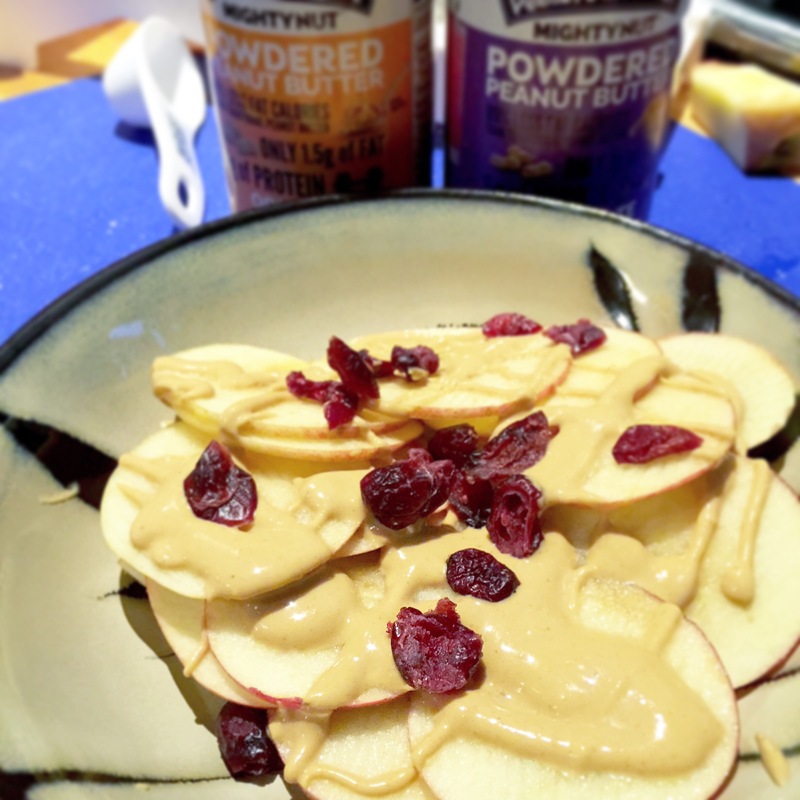 2tbs Mighty Nut Powdered Peanut Butter (original) mixed with 1-2 tbs water to get to a runny consistency that canbe drizzled over the apples. Simple. Three steps and you’re ready to head to scarf town! I’m still working on getting a bit more creative with my uses and plan to use the original in a savory dish. Perhaps something a little Thai inspired? Mmmmmm spicy peanut sauce and chicken! I think I need to get back in that kitchen! Are you a peanut butter fan? 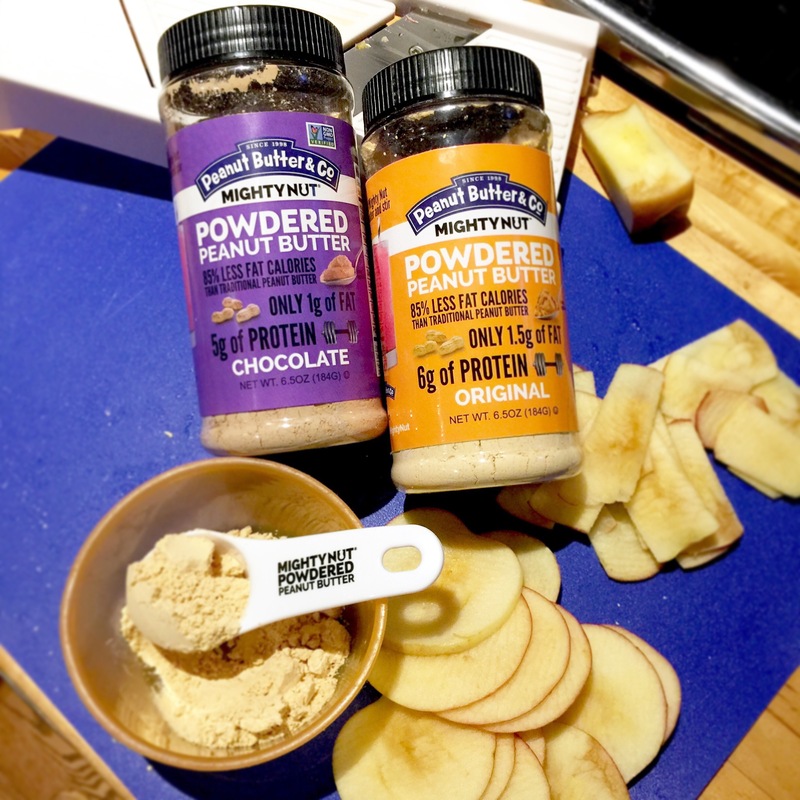 Do you like to use powdered peanut butter? Well here’s your chance to get your hands on your very own stash of Mighty Nut! I’ll be giving away one container to a lucky winner! Hello everyone! It’s been a long while since my last post, but I’m back at it again! 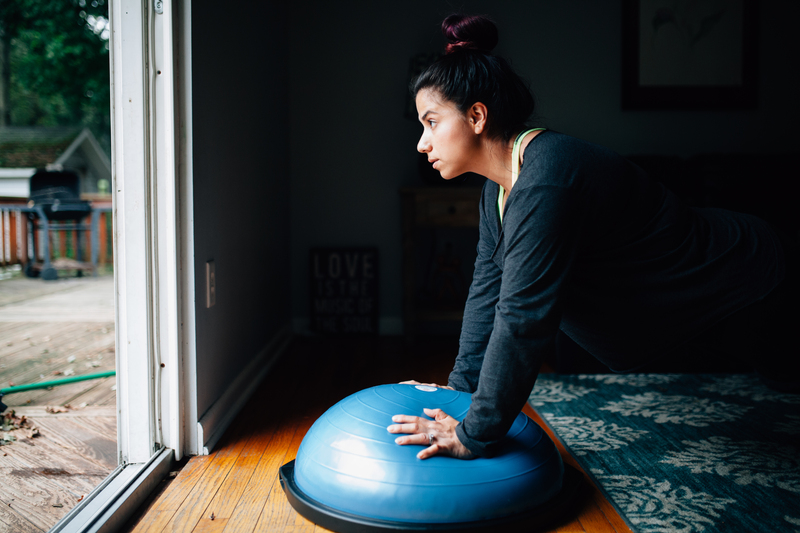 I’m finally recovered after 3 weeks of being sick and actually have the energy to get back to blogging and chatting about some of my newest finds and happenings. Recently, I was given the opportunity to try out Manitoba Harvest’s Hemp Hearts and I couldn’t have been more impressed. I honestly didn’t even know what hemp hearts were until I received my bag, but I figured it was worth a shot since I had so thoroughly enjoyed their Hemp Pro 70. What are hemp hearts? To put it simply, they are raw shelled hemp seeds and nutritional powerhouses. Great tasting – Hemp Hearts have a slightly nutty taste, similar to a sunflower seed or pine nut. Easy to use – Simply sprinkle Hemp Hearts on salad, cereal & yogurt, add to smoothies and recipes, or eat them straight from the package! Nutritious – per 30 gram serving, Hemp Hearts contain 10 grams of plant-based protein and 10 grams of Omegas. Now that you know what they are and what they offer let’s get talking about taste! I love these things! They might look like bird food, but they pack a lot of taste and of the many seeds and mix-ins I’ve tried this might top the list. The flavor is nutty and reminded me of crushed walnuts. It was perfect for topping on my oatmeal, yogurt, and on peanut/cashew buttered Ezekiel bread. In short, these little nuggets of goodness are the perfect snack food. I’m actually eager to order up a larger bag for when I run out (they are that tasty). My favorite way to eat them was on top of my Greek yogurt! Giveaway deadline is 3/17/15! Be sure to get entered today!